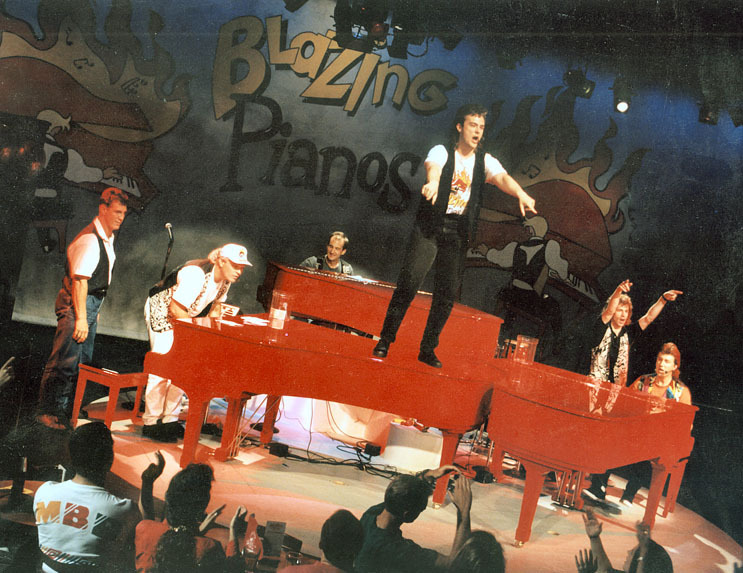 Make any event an interactive sing-a-long with amazing dueling piano players who take ANY request, and get the whole crowd involved in the party! These talented performers have played world famous piano clubs like Pat O’Briens, and Blazing Pianos and the Howl at the Moon Saloon. From Billy Joel to Bruno Mars they can play and sing hundreds of sing-along favorites! These players can play ANYTHING!